How did the idea for Generations in Solidarity come about? We feel drawn to Central America—the people and the cultures—and to the relationships that formed between people across the Americas during the times of civil war in the 80s. Sister Parish is one of many social justice organizations that arose at that time to support people impacted by the violence. When we heard about a ten-day, 25th anniversary delegation uniting representatives from El Salvador, Guatemala, and the US, we knew we had to go. In that short time, we interviewed delegates, experts in various fields, and a variety of other social justice organizations working on current issues that link Central America and the US. Once we reviewed the footage, we clearly saw an important theme—solidarity—coming through all the stories we had captured. What was most difficult about producing Generations in Solidarity? The timeline was tight and resources were limited. 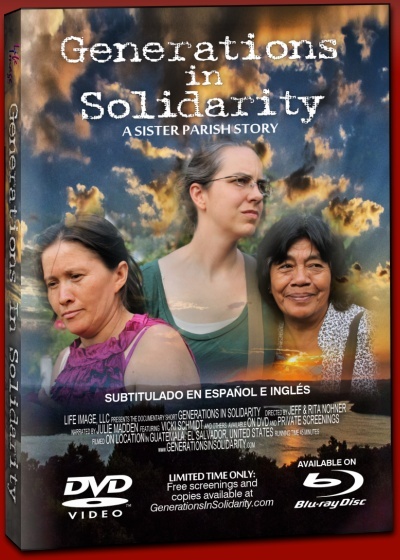 We wanted to get the main title produced for release during Sister Parish’s 25th Anniversary and distribute it in 2014. Since we financed it internally, that was an aggressive schedule to dedicate resources to. What surprised you during the filming and editing process? 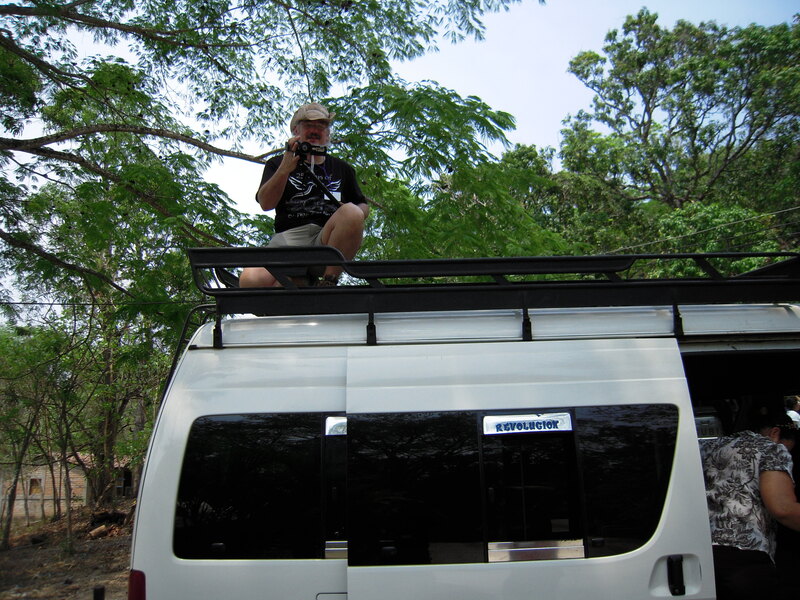 It’s amazing to think that the majority of the footage was shot by one person (Jeff) using multiple cameras and field audio gear. Hundreds of hours were spent logging and organizing footage before the common thread began to appear. Many hours of excellent interviews and interesting moments didn’t make the final cut, but we included some of those on the DVD as bonus scenes. What have you enjoyed most about sharing the documentary with various communities? It’s been interesting to see different responses to the film. To some, it’s their first time realizing how connected our societies, politics, and economy are. To others it reinforces long-held beliefs. We made every effort to produce a film that accurately reflects historical and current realities. But since we could not include every detail, we provided a condensed historical overview, and that has led to some good feedback and very interesting conversation. Generations in Solidarity covers some very difficult topics and complicated, multi-generational struggles. In the end, though, we hope viewers leave feeling hopeful and inspired by the stories of solidarity. How can other communities schedule a viewing of Generations in Solidarity? We’re open to offering public and private screenings of the film anywhere, anytime. People simply need to contact us for a free copy of the DVD or for screening information at our website, http://www.GenerationsInSolidarity.com.